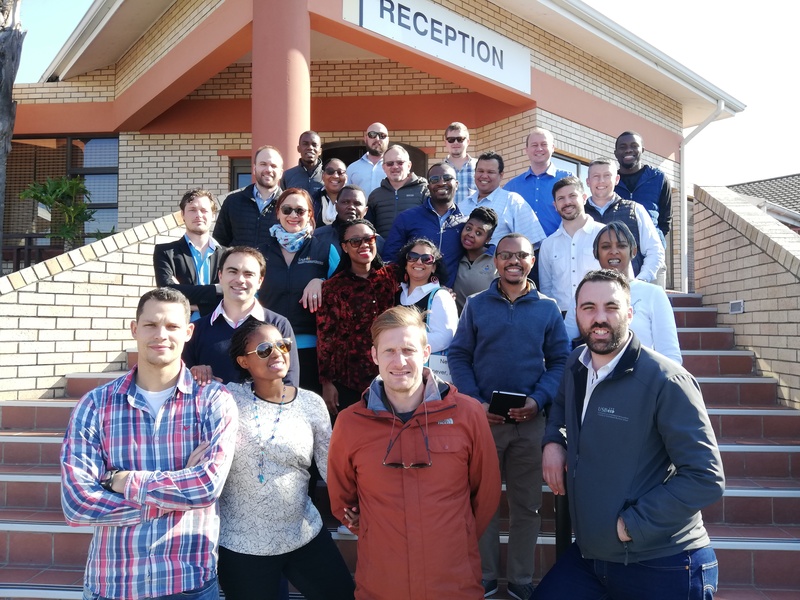 The Full-time MBA class of 2018 recently went on the first South African tour. 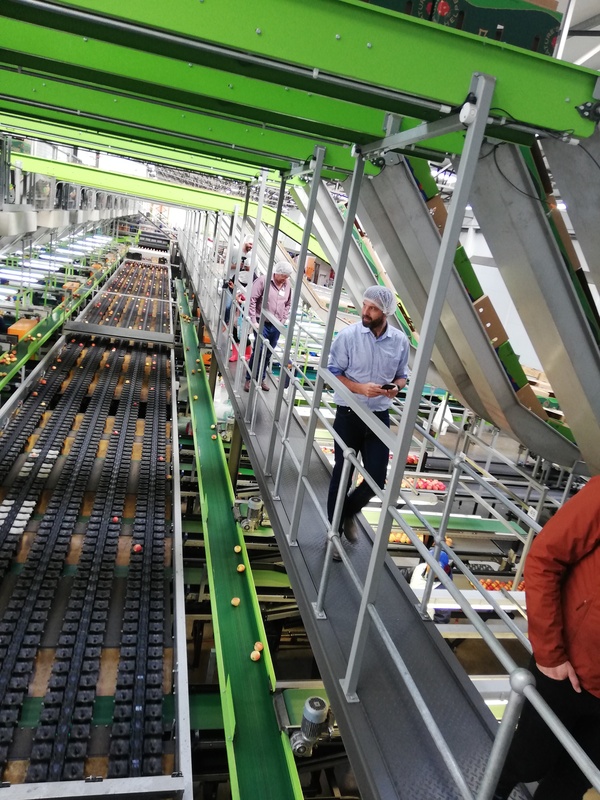 The purpose of the tour is to expose students to a range of local industries, giving them the opportunity to see first-hand how theory is turned into practice. 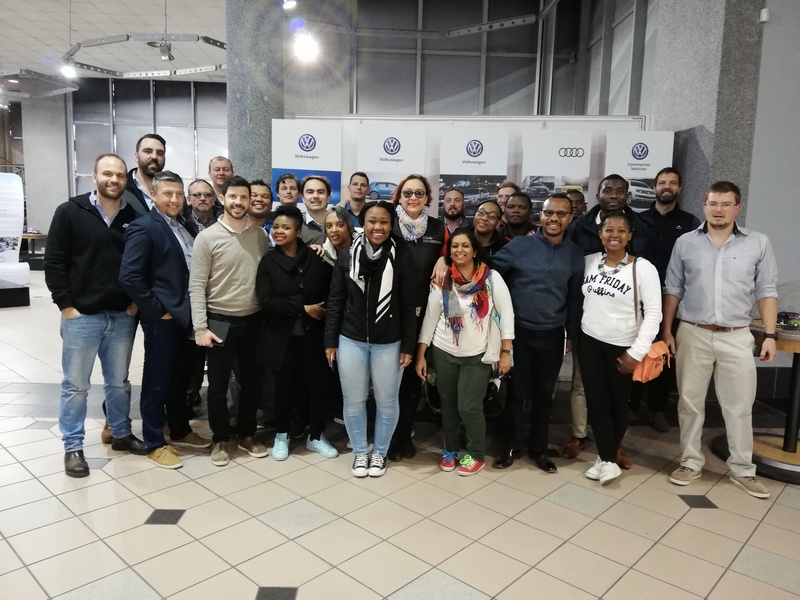 The tour included a bus trip from Cape Town to Port Elizabeth, visiting, among others, the Eskom Palmiet plant near Grabouw, Denel Test Range in the Overberg, PetroSA in Mossel Bay, Untouched Adventures at Storms River Mouth, Volkswagen SA in Uitenhage and the Coega Industrial Development Zone in Port Elizabeth. 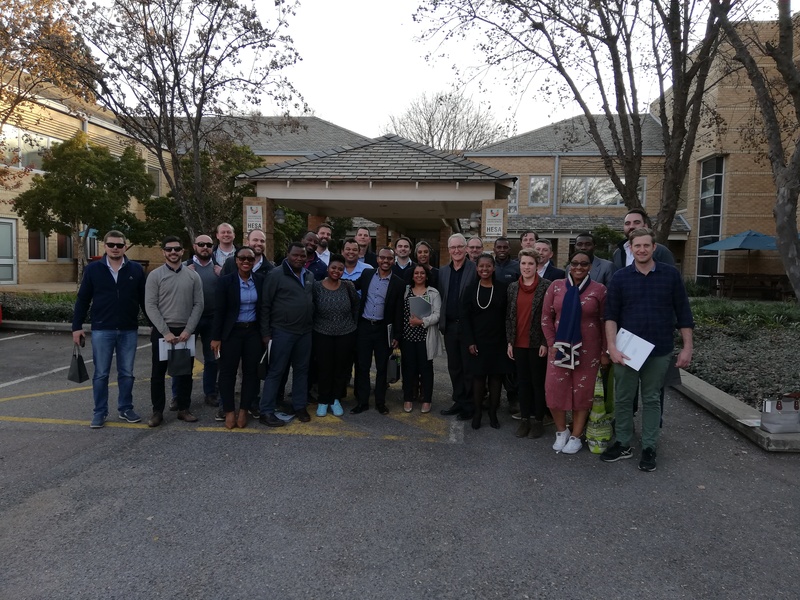 From there, the group flew to Johannesburg where they visited Dimension Data, the Ethics Institute of SA in Sandton, and the Cradle of the Humankind in Maropeng. A bus. 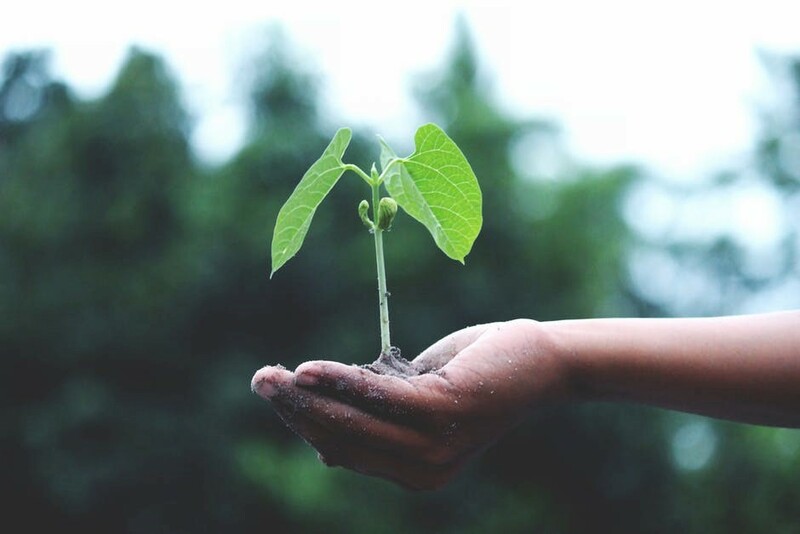 A driver named Welcome. 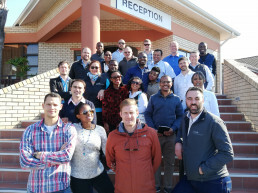 24 Full-Time (FT) MBA students from the USB. 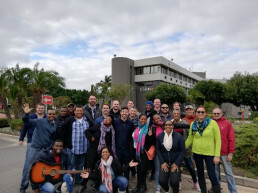 Music, snacks, drinks, games and a whole lot of enthusiasm were all ingredients that set the South African (SA) Academic Tour 2018, a USB first, off to a road of success. 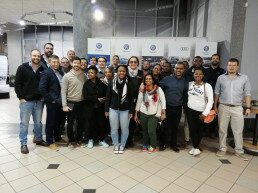 The week-long tour saw the FTMBA class given the opportunity to apply learning into practice through company and industry visits that were arranged whilst driving and exploring the beauty of SA starting in Cape Town, making our way through to Port Elizabeth (PE) along the Garden Route by bus and eventually flying to the business capital of SA, Johannesburg. 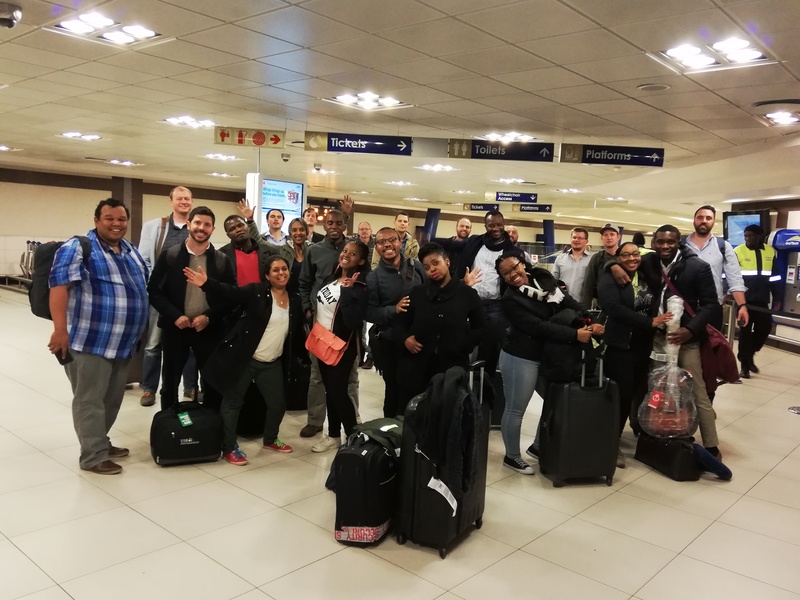 Departing from the USB on Sunday 24 June 2018, the 24 students’ excitement was palpable after a semester of stress, hard work and being pushed to boundaries beyond expectation with the demands of doing an MBA fulltime. 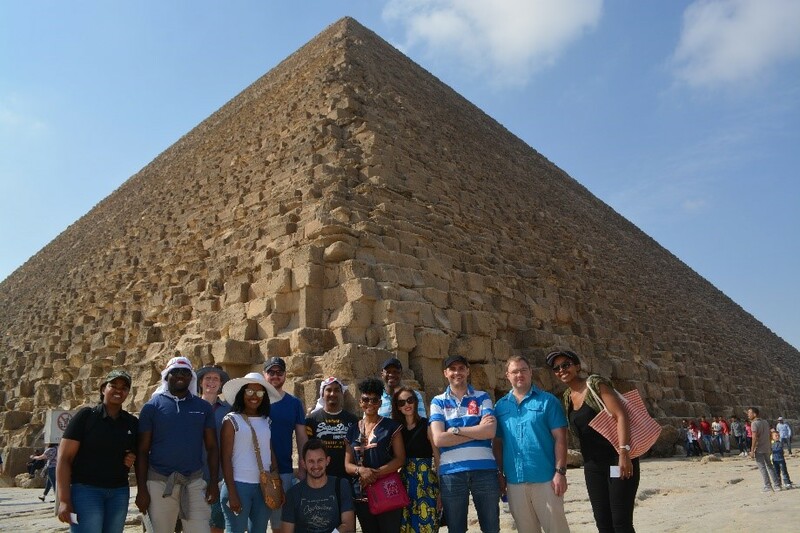 The trip was thus a culmination of a long road of challenges, hardship and growth, and an opportunity for the class to strengthen and deepen bonds already forged throughout the year. 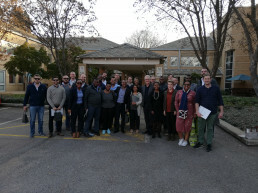 The tour commenced with a short drive to Grabouw in the Western Cape where students were treated to a night at the Houw Hoek Hotel, the oldest licensed hotel in SA. 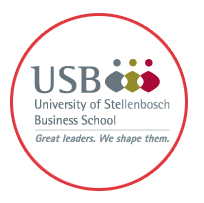 An official introduction by Martin Butler, the brainchild of this initiative and head of the MBA Program at USB set the tone for the week ahead. 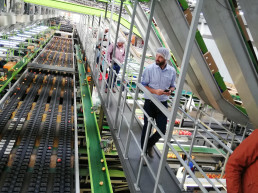 An early morning start saw a jam-packed day with visits to the Eskom Palmiet plant, Two-a-day, previously Elgin Fruit Packers Co-operative Ltd, and the Denel Test Range in Overberg. The day rounded off with an overnight stay in Arniston right across the sea. 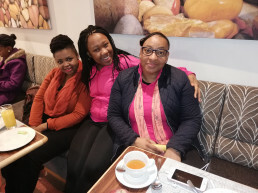 A highlight of the day had to be the special meal enjoyed by entrepreneur and passionate businesswoman Willeen de Villiers who converted her home into Willeen’s Meal Arts and Crafts. 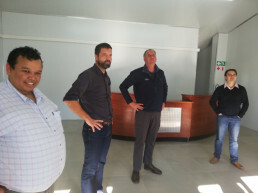 Day 3 saw students being inspired by Piet Willemse, who together with his twin brother Johan, founded Jireh Dairies and Foods located in Riversdale. 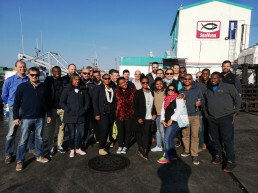 Followed by visits to PetroSA and Seavuna in Mossel Bay, the day ended off with a night in Knysna. 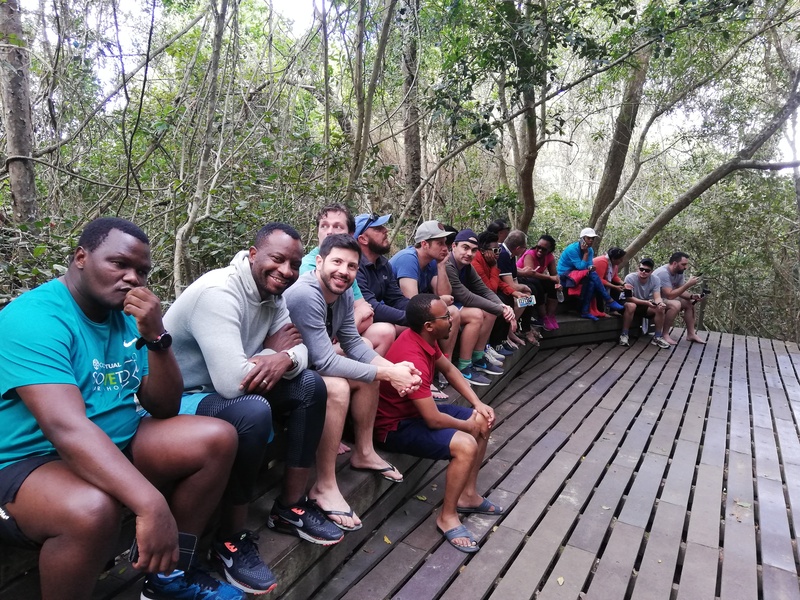 Day 4 was a welcome day off with students entering the Eastern Cape and spending a day at the Tsitsikamma National Park greeted by whales in the frolicking and playing in the sea and hosted by young and extremely motivating entrepreneur Marthinus van der Westhuizen, founder of Untouched Adventures, SA’s most successful kayaking company. 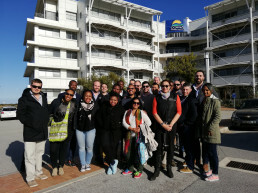 The company also coordinates scuba diving and snorkelling adventures in the heart of the Garden Route. 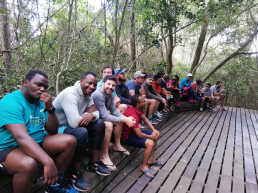 Students were given an opportunity to get down and wet experiencing kayaking into the Storms River Gorge surrounded by the most beautiful caves and ancient forests. A night at the Tsitsikamma Village Inn ended off an amazing day. 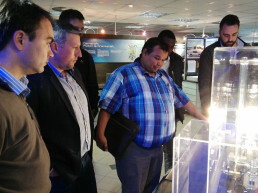 Day 5 included visits to Volkswagen SA based in Uitenhage just outside PE and the Coega IDZ. A flight to Johannesburg was next on the cards with students also having the opportunity to catch the Gautrain to get to our hotel in Sandton. Highlights of Day 6 were visits to Dimension Data, a SA founded company now one of the global leaders in the ICT space currently operating in 47 countries, and the Ethics Institute of SA. 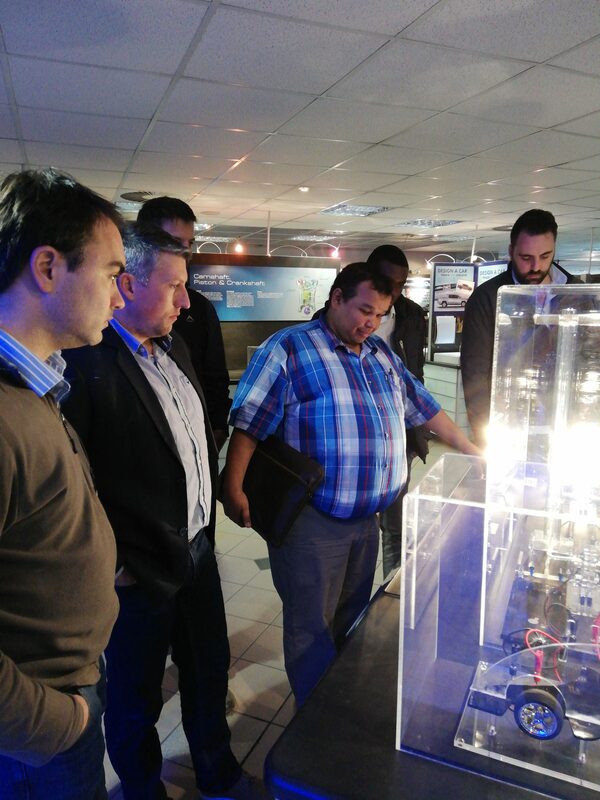 The culmination of the trip could not have been more aptly chosen as that of the Cradle of the Humankind in Maropeng, home to 40% of the world’s human ancestor fossils. To say that this was a trip beyond expectation and one of kind would not be an understatement. To see, learn, and apply learnings through the MBA program in a real-life setting made the learning experience so much deeper, richer and more meaningful and applicable. 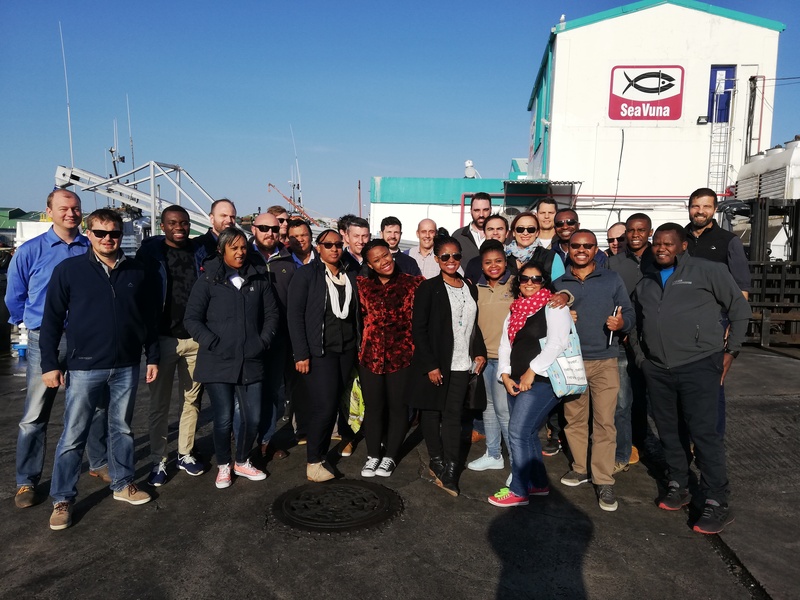 Each visit was unique in its own way with students being exposed to SA companies running world-class operations that we could be proud of as fellow South Africans and future leaders.